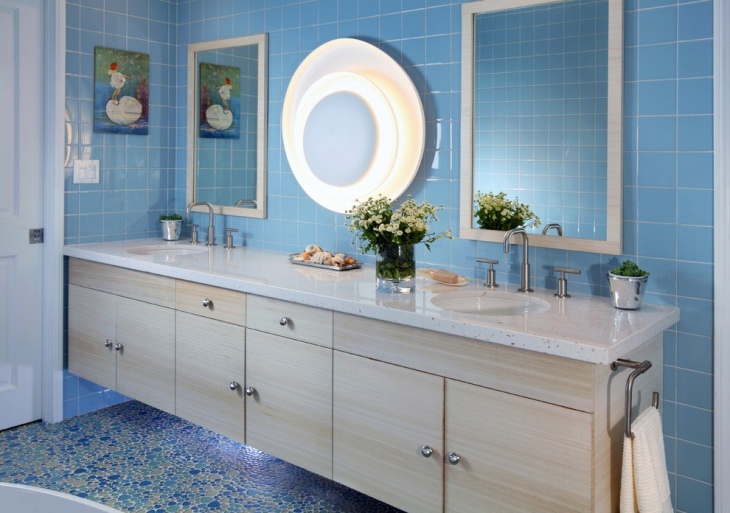 Bathrooms can be designed in a number of ways. What is interesting is that you could utilize every inch of the space to create a new design which is more functional and efficient. 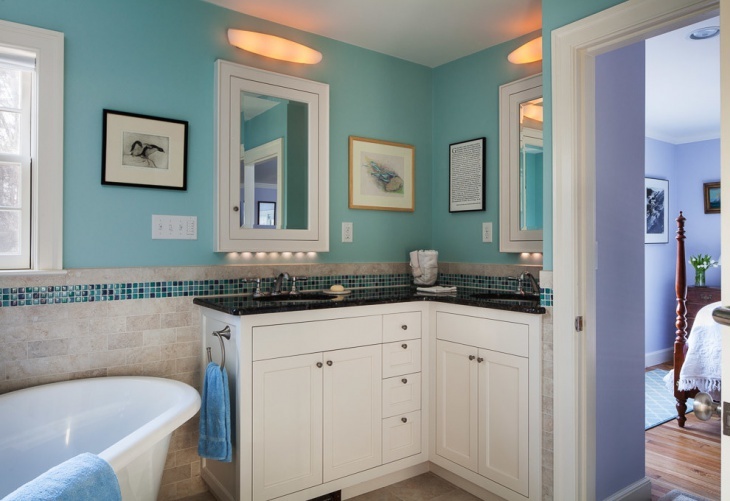 One such design is the bathroom corner cabinet design. 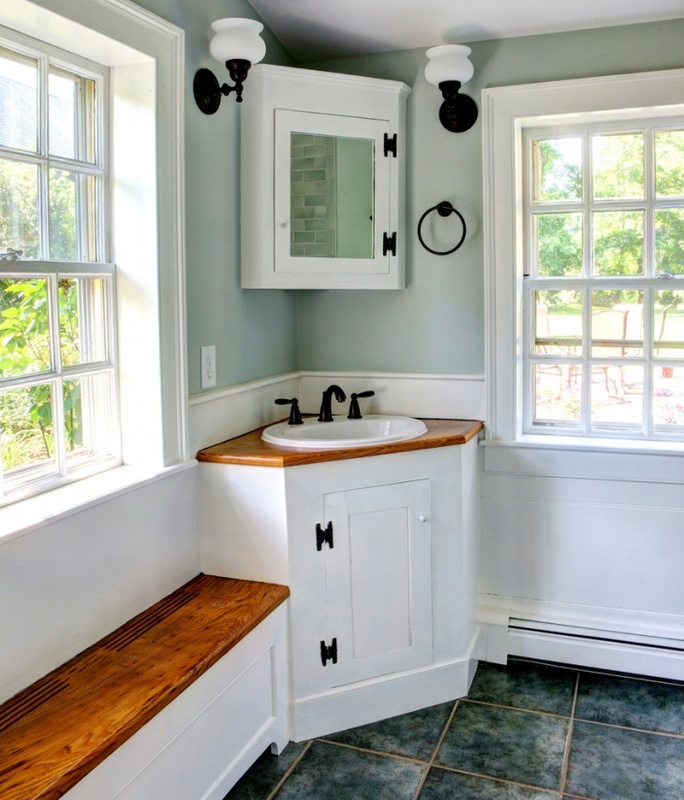 A great way to make use of the space in the corners is by building a corner cabinet in the bathroom. 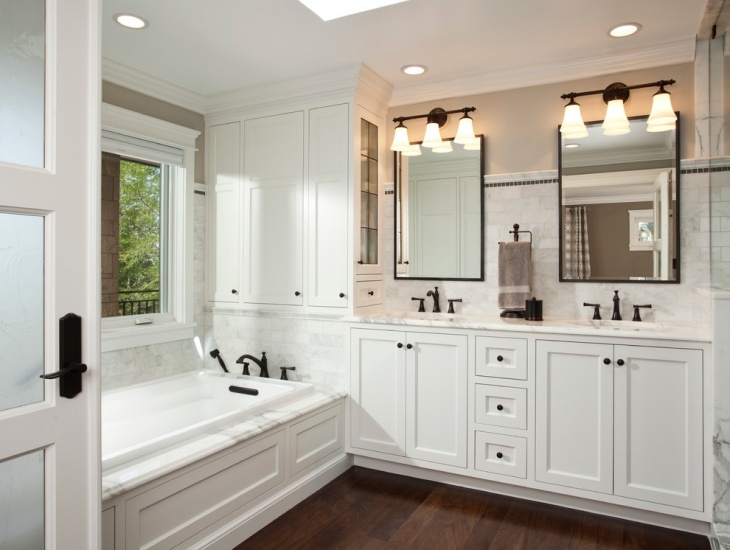 This white bathroom is exclusive featuring a corner cabinet design. 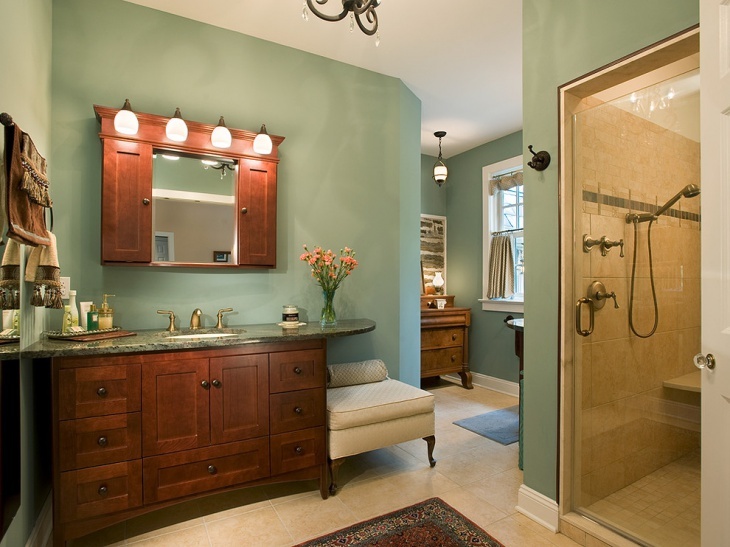 It is a farmhouse inspired bathroom with walls and floors made of glossy tile finishing. 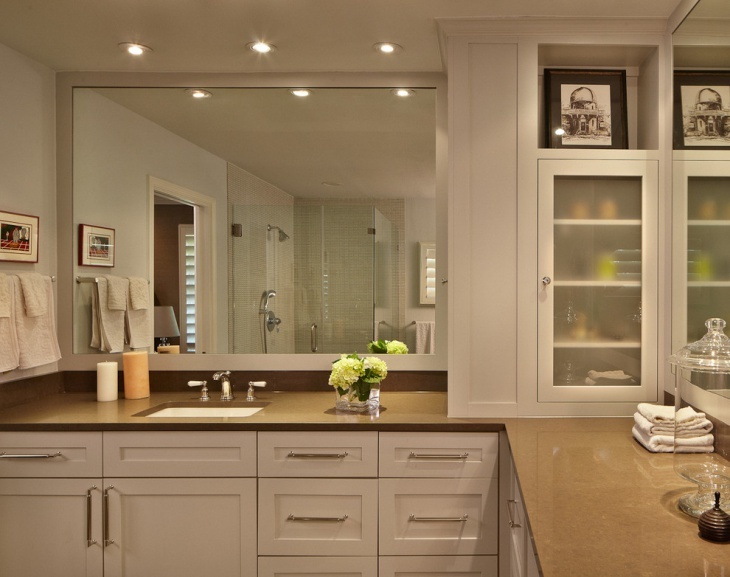 The cabinet is located at the corner most part of the bathroom with a plush mirror bordered in silver. 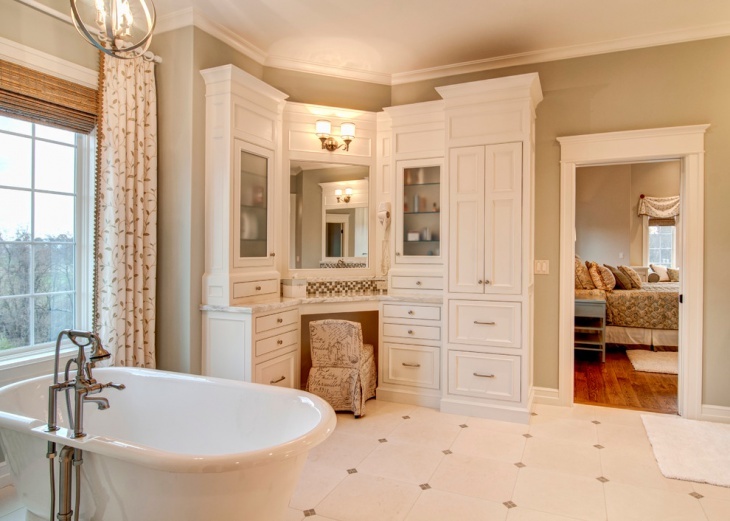 This is a luxurious vintage built bathroom featuring corner cabinetry. The cabinet features mirrored cabinet doors. 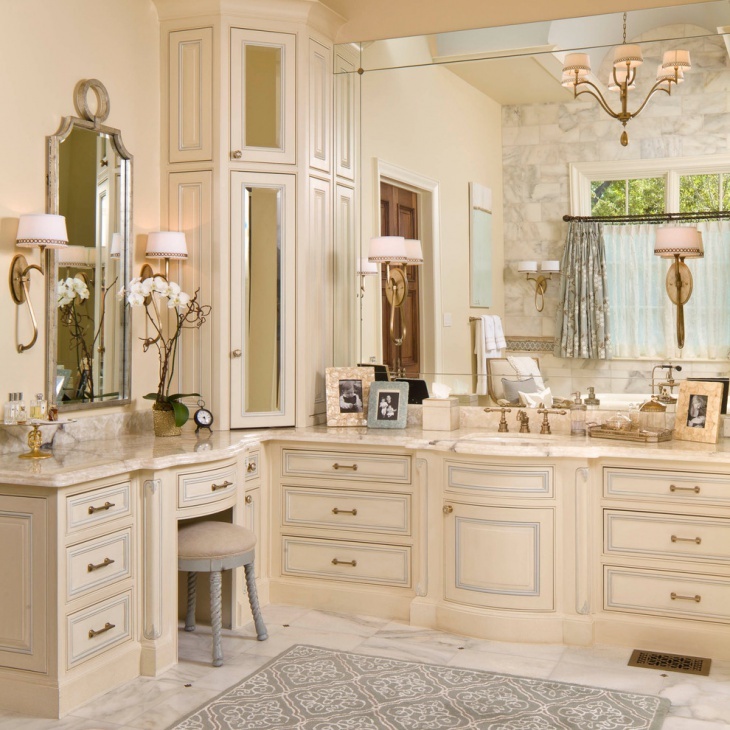 It also has marble flooring in a luxurious design along with marble countertops above the vanity. 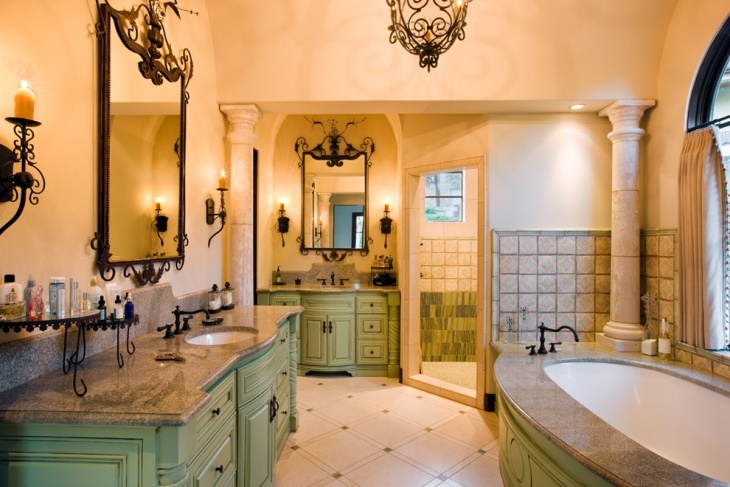 It features antique style lights including pendant lights. 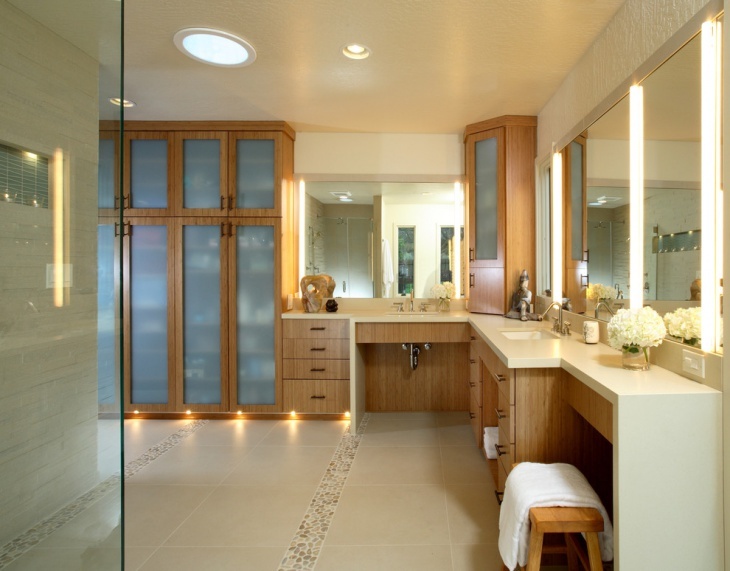 This is a tall bathroom with corner cabinets in a dull white shade. It features white cabinets with brown countertops and recessed lighting. It has a lovely flower arrangement with minimalist design consisting of one vase with beautiful yellow flowers in it. 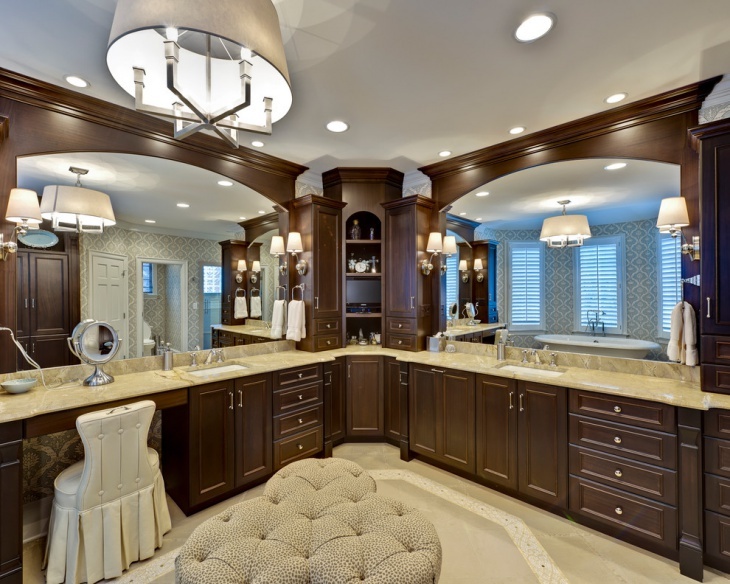 It has a very luxurious bathroom space design. 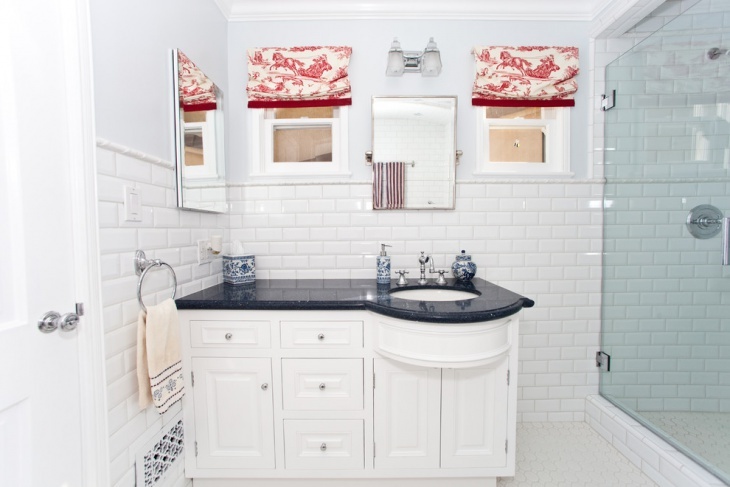 This is a gorgeous black and white theme bathroom space featuring a corner cabinet. 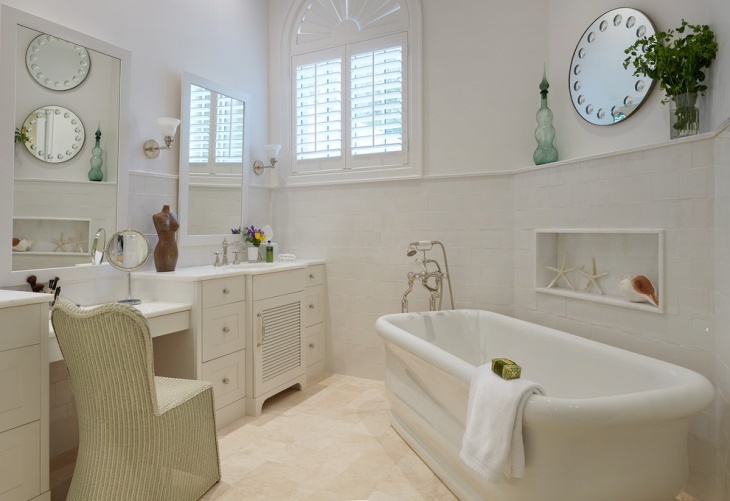 It is a traditional bathroom designed in a Parisian style as per the homeowner’s desire. 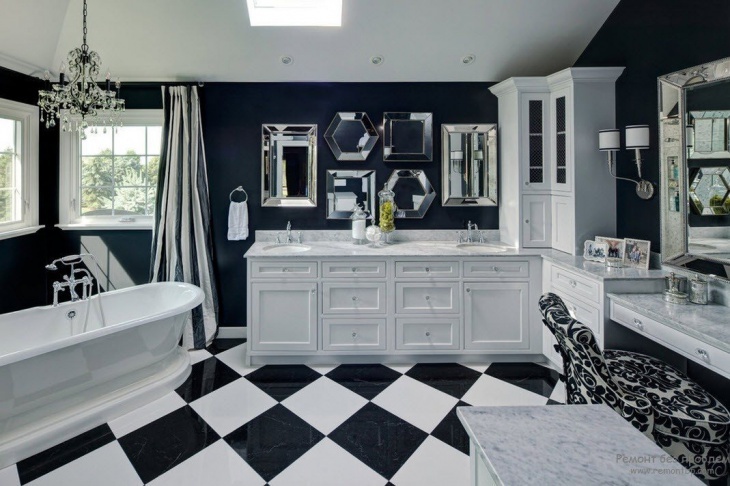 It features a checkerboard floor which is classic and has black walls with silver mirror frames in it. This corner bathroom cabinet is inside a Spanish villa and has the highly functional and luxurious Mediterranean design. 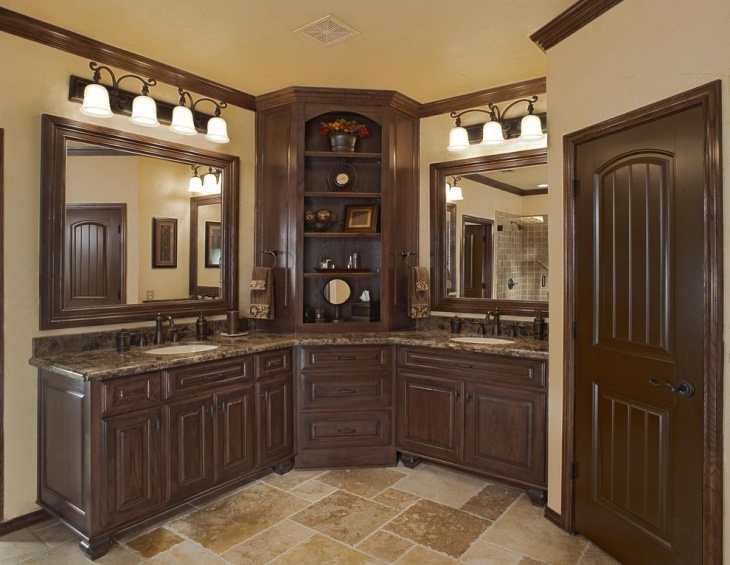 It contains traditional vanities with granite countertops and black antique décor including the mirror, faucets etc. 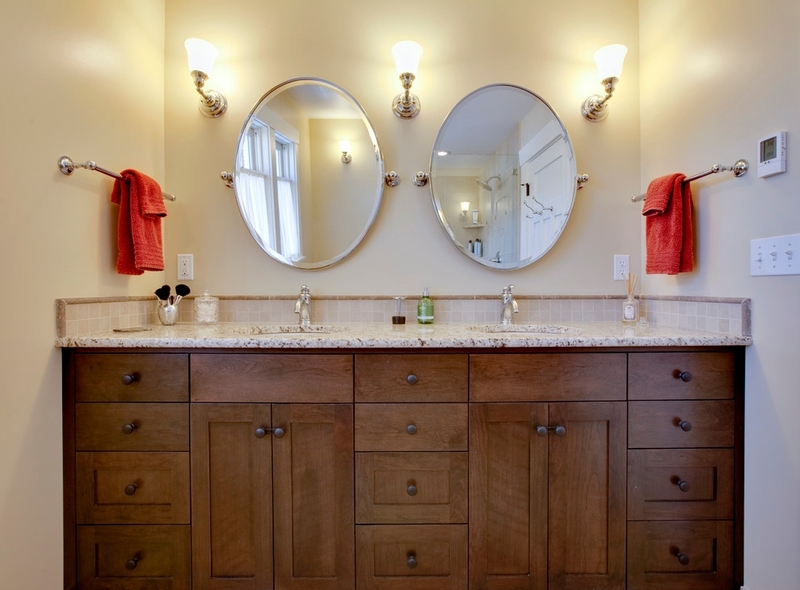 When limited space is there in bathrooms, the best way to set up the vanity and cabinets is by opting for a corner bathroom cabinet design. 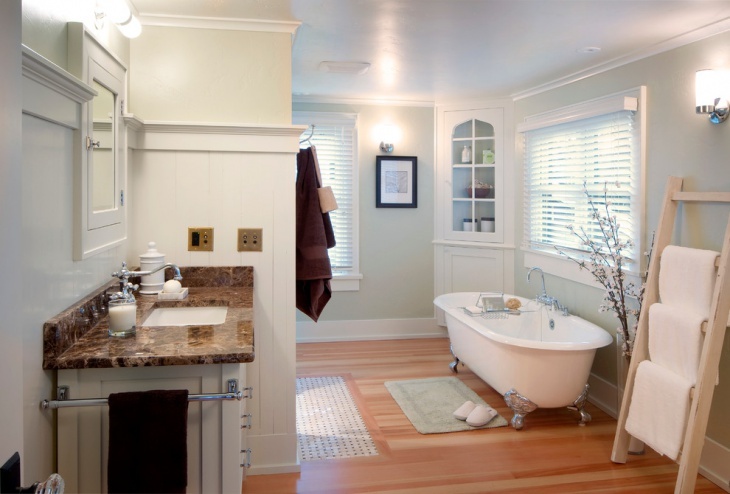 The empty corner space in the bathrooms can be utilized in no better way than by fixing of cabinets. 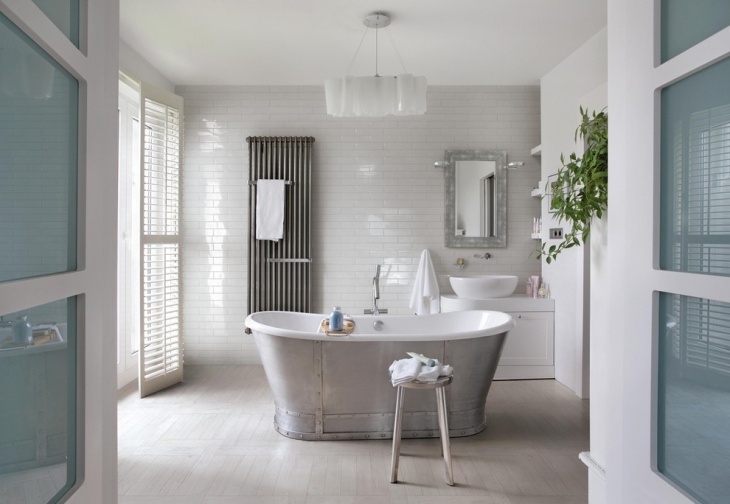 In fact it has gained popularity and has become a common design in most contemporary homes.